My condolences to the all the deputies and officers of the Florence PD and Florence County SO. Thank you for your service and what you do everyday. To the family of the fallen officer our prayers our with you! Chief of Police, F. Knoll, Jr.
Rip brother you will never be for gotten. Thank you for all you have done. On behalf of the Hillsborough County Sheriff's Office Honor Guard, we send our deepest sympathies and condolences. R.I.P. Officer Carraway, may God bless you and keep you. May God comfort your family and friends and all our brothers and sisters with the Florence Police Department. May God wrap you in his loving arms and grant your family and friends strength, comfort and peace during this difficult time. We will keep you all in our thoughts and prayers my brother, and please know that you and your service will never be forgotten. " Fidelis Ad Mortem " my brother, we have the watch from here. 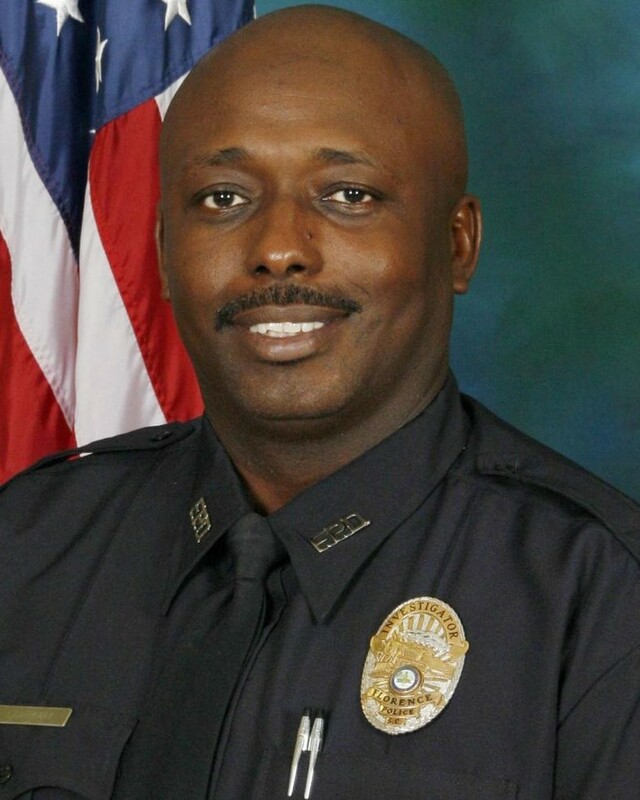 God bless you Officer Terrance Carraway for your service and sacrifice. Thoughts and prayers go out to your family and friends, and to your brothers and sisters from the Florence Police Department. Thoughts and prayers also go out to the other police officers and sheriffs deputies who were wounded. May they have a full and speedy recovery. Rest In Peace Brother. We stand united with you in grief and pray for those who are left behind. May he rest in peace, and God grace his family, friends and the good men and women of the Florence Police Department with comfort and love. Thank you for your bravery and service to the citizens of Florence! RIP Sir. Peace and comfort and blessings to your family and your agency and to FCSO. RIP brother, John 15:13-Greater love has no one than this: to lay down one’s life for one’s friends. SIP Sir. ..I Salute A Brave Hero! Carroway with a wonderful guy awesome police officer! You were instant inspiration to my daughter you made her part of your family when she was is High School. We will always remember you! Job well done sir the community was a safer place while you were here! I pray that God brings peace conference Joy love to his family and work family! The only comfort I find in this is that absent from the body means that he's present with the Lord! Again I salute you officer Terrence carroway! What a courageous act and a long career. No man has greater love than to lay down his life for his friends. My prayers to all of you. God bless. God bless your family, friends, and fellow officers! You have walked the thin blue line proudly......we have the watch from here brother. Your courage is noted. Rest in Peace, my brother. Rest In Peace brother in blue. Prayers to family friends and agency! Rest in peace, Officer Carraway. You deserve your divine reward. God Speed and RIP my brother! May the Lord wrap his arms around his family, Department and community as they all grieve.